Compare quotes from top carriers in seconds! Family, fun, finance, health: Stories that matter, served up daily on the Trusted Quote blog. 53 million American kids spend almost one-fourth of their waking hours in or around their schools. That’s where 10-25% of injury-causing accidents occur. As you get ready to send your little ones back to school, make sure to review a few basic safety tips with them. Money is the root of all evil, as the saying goes. According to current research, it’s also the root of a lot of insecurity and stress for women in particular. I meet with a lot of couples who come to me looking for help getting life insurance to protect their family. Often, one spouse works and the other stays home to take care of the kids. Sometimes, the other spouse wants to work, but is disabled, can’t find work, or is just between jobs. We'll teach you everything you need to know to be a smart insurance shopper. Our videos and tutorials will help you narrow down your options. Stay healthy and be aware of trends in health, retirement and more. 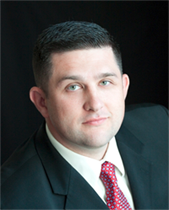 My name is Ryan Pinney, VP of Sales & Marketing at Trusted Quote. I’m an advocate of personal financial growth, education, and excellence. I believe that insurance agents should be ethical and work toward solutions based on our clients’ needs. I believe that the financial industry should change for the better, and that change starts with me. Join me as I work to build a new way to buy insurance and protect your family’s financial future. How much does your family need? Discount RX Card: Free For You! Save on all your family's prescription medications. Protect your family from the high cost of elder care. Thanks! You saved me $1,076.00 on my insurance! Thanks for all your help, I will refer you to my friends! I cannot recall a better customer service experience. You clearly have a winning team. Sign up for our email newsletter to receive a Free Discount RX Card. You’ll get insurance tips and trends in your inbox…and big RX savings at your pharmacy! Height: 4' 5' 6' 7' ft 0" 1" 2" 3" 4" 5" 6" 7" 8" 9" 10" 11"
Coverage Amount: $750,000 $25,000 $50,000 $75,000 $100,000 $150,000 $200,000 $250,000 $300,000 $350,000 $400,000 $450,000 $500,000 $550,000 $600,000 $650,000 $700,000 $750,000 $800,000 $850,000 $900,000 $950,000 $1,000,000 $1,100,000 $1,200,000 $1,300,000 $1,400,000 $1,500,000 $1,600,000 $1,700,000 $1,800,000 $1,900,000 $2,000,000 $2,250,000 $2,500,000 $2,750,000 $3,000,000 $3,250,000 $3,500,000 $3,750,000 $4,000,000 $4,250,000 $4,500,000 $4,750,000 $5,000,000 How much life insurance do I need? Coverage Amount: $15,000 $20,000 $25,000 $30,000 $35,000 $40,000 $45,000 $50,000 $75,000 $100,000 $150,000 $200,000 $250,000 $300,000 $350,000 $400,000 $450,000 $500,000 How much life insurance do I need? See our Disability Insurance Page!